Home > Customer Reviews > Our 4th Mazda!!! 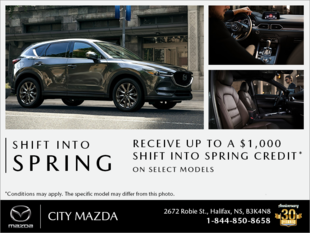 The staff at City Mazda were some of the finest men and women I've had the pleasure of meeting. They made my experience enjoyable, fun and easy. I felt like I wasn't just purchasing a vehicle but instead I was giving my family the peace of mind of being in a reliable CX-5 for the foreseeable future. I'll be sure to tell everyone I see to come here for all their Mazda needs. Thanks guys! Taking delivery of our first brand new Mazda!! Richard is the bomb!! We purchased a Mazda3 from City Mazda. Our salesman, Addesh Mago, was amazing to deal with! Great deal, great service, no pressure!! !